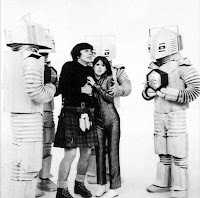 Sunday 17th February sees the broadcast of the five-part 1968 Patrick Troughton story The Mind Robber in Australia and New Zealand. The story is the latest instalment in the the 50th Anniversary season of classic Doctor Who stories on the UKTV channel. It is scheduled in New Zealand at 3:50pm and in Australia at 4:00pm. New Zealand has a additional screening on Monday 18th February at 3:50am. 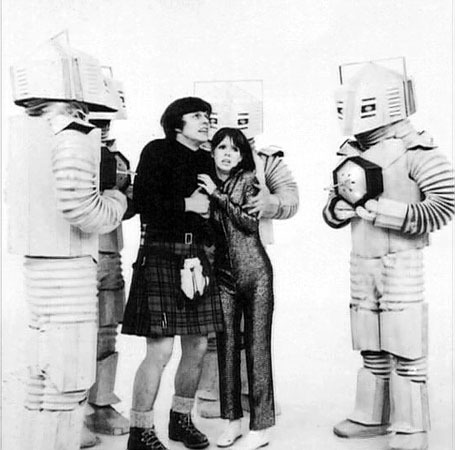 The Mind Robber was first broadcast in Australia in 1970. New Zealanders had to wait another 15 years to see the story (it was first screened in 1985 to launch an extensive series of Doctor Who screenings by TVNZ that continued with few interruptions until 1990). UKTV is showing stories every week throughout the year in the lead-up to the anniversary in November. The Mind Robber is the third of four stories to be aired as part of the channel's celebration of the second Doctor this month. The next story is The Seeds of Death (24th February). Next month UKTV will move on to focus on the third Doctor.